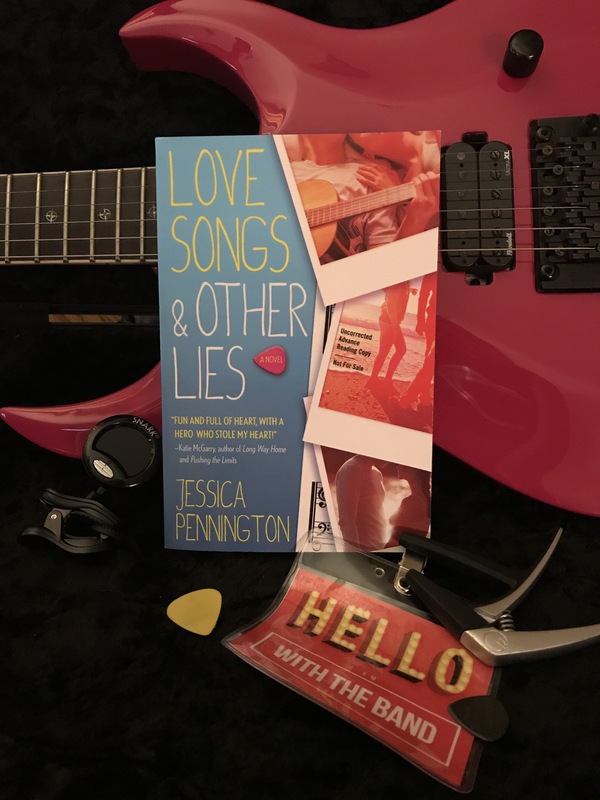 ARC Review of Jessica Pennington’s debut novel, ‘Love Songs and Other Lies’! It will be published on April 24, 2018 by Tor Teen! Fans of Emery Lord’s ‘Open Road Summer’ will devour this debut! Jessica Pennington has created a captivating and heartfelt debut that is sure to enamor fans of young adult contemporary romance. Readers who love to read books about bands will adore it! ‘Love Songs and Other Lies’ is written from two points of view- Virginia, and Cameron. The book is not only told in alternating POVs, but also switches from ‘Then’ to ‘Now’, exploring Vee and Cam’s past and budding relationship and then flashing forward to show that they are obviously not together anymore, leaving readers desperate to understand what caused such animosity to be between them in present time. One of the things that I loved about this book was that the main focus was on the lead characters and their relationships with each other, and while I adored the band aspect, I liked that Vee and Cam themselves really took center stage (pun intended). As supporting characters, Logan, Anders, and Cort were really awesome and dynamic. Honestly, I think Vee handled seeing Cam for the first time on the tour bus really well. Throughout the novel, it’s really cool to see her pre-Cam and post-Cam. She evolves really nicely, and I liked how she was a strong independent character. My band writes our own songs, so major props to Vee (and the rest of the boys) — songwriting definitely isn’t easy. I loved that even though she wasn’t performing on stage, she was an integral part of the band. I liked how Cam’s past was slowly revealed. Nothing felt rushed, but nothing felt too dragged out either; I really enjoyed seeing both his and Vee’s relationship prior to the tour. The idea of having Vee and Cam trapped together on a tour bus for so many weeks is a great idea because (in theory) it forces the characters to interact. Overall, I absolutely loved this book! Since the release date was changed, it will be published by Tor Teen on April 24, 2018, so it’ll be a long while before you can buy it! You can preorder it at the links below. PS: I love love LOVE the cover art and the title! It’s referenced throughout the book and it’s just awesome! Connect with the author! You can follow Jessica Pennington on twitter at @jessnpennington and on Instagram at @jessicapennington!